(NASA) – For many years scientists have known that our Sun gives off powerful explosions known as flares. These flares contain millions of times more energy than atomic bombs, so they are very powerful by human standards. This giant flare would be bad news for any planets orbiting the star. 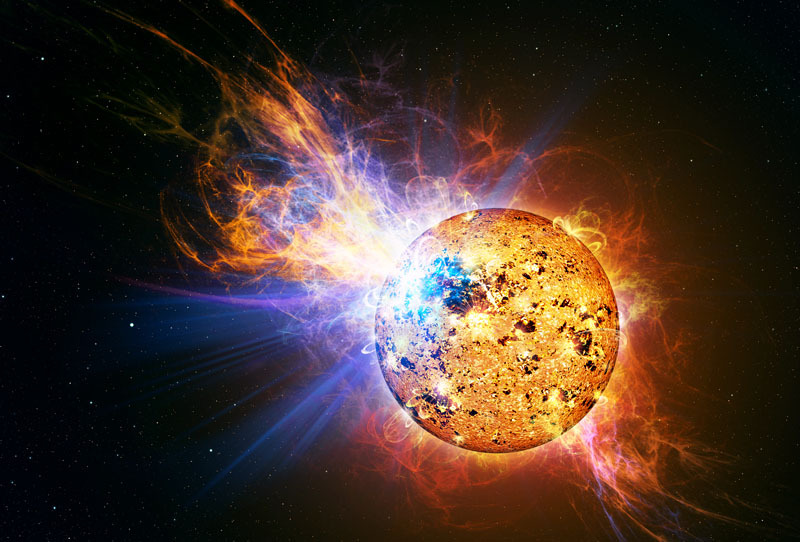 “Flares like this would deplete the atmospheres of life-bearing planets, sterilizing their surfaces,” says Rachel Osten, of the University of Maryland, College Park and NASA’s Goddard Space Flight Center in Greenbelt, Md. Osten is leading the scientific analysis of the flare. Scientists are very excited about this flare because it is easy to study. The flare’s incredible brightness enabled Swift to make detailed measurements. “This gives us a golden opportunity to study a stellar flare on a second-by-second basis to see how it changed,” says Stephen Drake of NASA Goddard.